As I sit here, Thursday morning, and try to collect my thoughts from the haze of what has passed over the last few days travelling, I can revel in the different experiences of my travels this time and empathise with what our girls must have been going through as they made their trip. The excitement of competing in a World Championship and gauging yourself against the world, the nervous tension awaiting the uncontrollable draw holding your faith, the practicalities of food, accommodation and training facilities standards and maybe even the wonders of a new country and new culture. Alas, today is Thursday and as I catch up on the action I missed in transit, and learn of the sad news that my fellow Kilkenny cat Claire Grace withdrew due to a cut, I eagerly await todays afternoon session. I sit relaxed, eating as I please and fascinate myself with the disparity and dissimilarity of my regular compared with my usual temperament and outlook at breakfast the morning of a major championship day but these are the World Female Boxing Championships and I can relax. It’s the last 16 round and Ireland’s interest lies with Michaela Walsh and Katie Taylor whom are fights number 8 and 9 on the program. First in is Michaela Walsh who reached the last 16 with a good win in her first fight against Jamaica. Rising to prominence at the Commonwealth Games this year, where she claimed silver, losing out only narrowly in the final to Olympic Champion Natasha Jones. Since then, Michaela has reverted to 54kg and will have entered the championships beaming with confidence and ready to tackle what or whomever is put in front of her. After a successful start, Michaela faces southpaw Anna Alimardanova from Azerbaijan in todays last 16. Michaela is an extremely confident young boxer, who fears nobody and will be relishing the chance to compete again today. Despite oozing with confidence, Michaela will know the importance of performing well today and hopefully her experience from the Commonwealth Games coupled with the vast coaching experience in her dressing room from Zauri Antia, Pete Taylor and her own Gerry Story will keep her on track. The Belfast boxer is a stylish, clever and elegant boxer and if she gets things right she will be handful for anyone, but for now her only concern is Alimardanova. Now we all know of the brilliance of 5 times and reigning European Union champion, 6 times and reigning European Champion, 4 times and reigning World Champion and our own reigning Olympic Champion Katie Taylor, but what lies ahead for our golden girl today. The answer to that question comes in the form of Finnish opponent, Mira Potkonen. Katie has faced Potkonen before both locally, in Bray and internationally in the European Union semis, claiming victory on both occasions. Today we hope for a repeat but as someone who has shared a gym with Katie and has witnessed first hand the expectations placed on her graceful shoulders I dare not be presumptuous. The ultimate professional, Katie will treat this fight no different to any other, she will prepare as diligently and will scrutinise every facet of her plan before the bell rings. Although potentially there may be more mouth-watering fights ahead, as with Michaela Walsh, Katie can and will only concentrate on today. Katie has spoken of her respect for and the chance to match India’s Maria Kom’s record of 5 successive World titles, but I can assure you, while that may be the desire, Katie and her coach/father Pete will most certainly be fully focussed on todays contest. It’s mid-morning here now in Jeju and for now the girls are probably having a quick rest after the weigh-in and breakfast. Boxing starts at 2pm local time, our girls in at approx. 3.45pm and 4pm, so until then the girls will be concentrating on conserving energy, refuelling after a depleted night controlling weight and running the game plan through their head like an old movie reel. Yet, as the girls anticipate their fights, pack their bags and watch the time pass sluggishly by I’m sure they wish they could fast forward to the first bell. 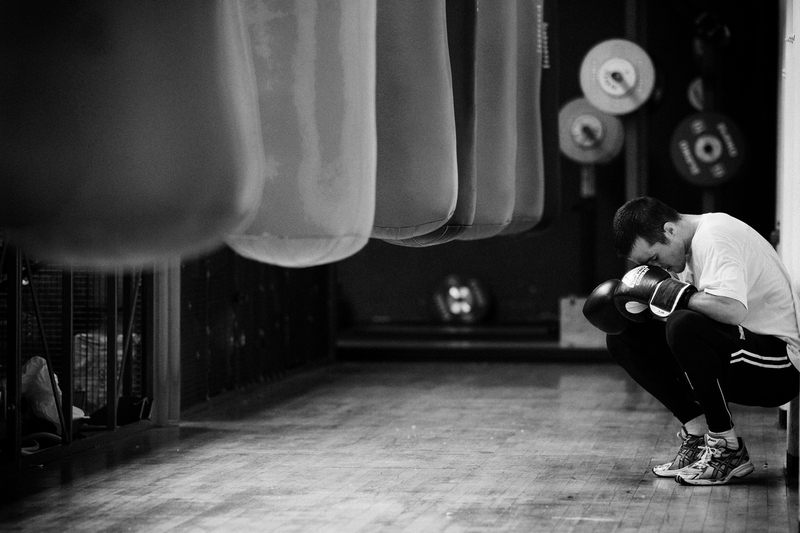 For me, the time passes achingly by on fight day, you just want to get in and get started. There are times in the dressing room you question your sanity. You laugh thinking to yourself “ …training is painfully, dieting is horrible, this anxious feeling is rotten and I’m going out to let someone try punch me in the face…. What am I doing here?” Then the bell rings and all that disappears, win or lose you feel the incredible buzz that you long for, the world makes sense again and you feed of that positive feeling. So for now, I relax here in Jeju looking forward to the fights and hope the girls are feeling great ahead of this afternoon.